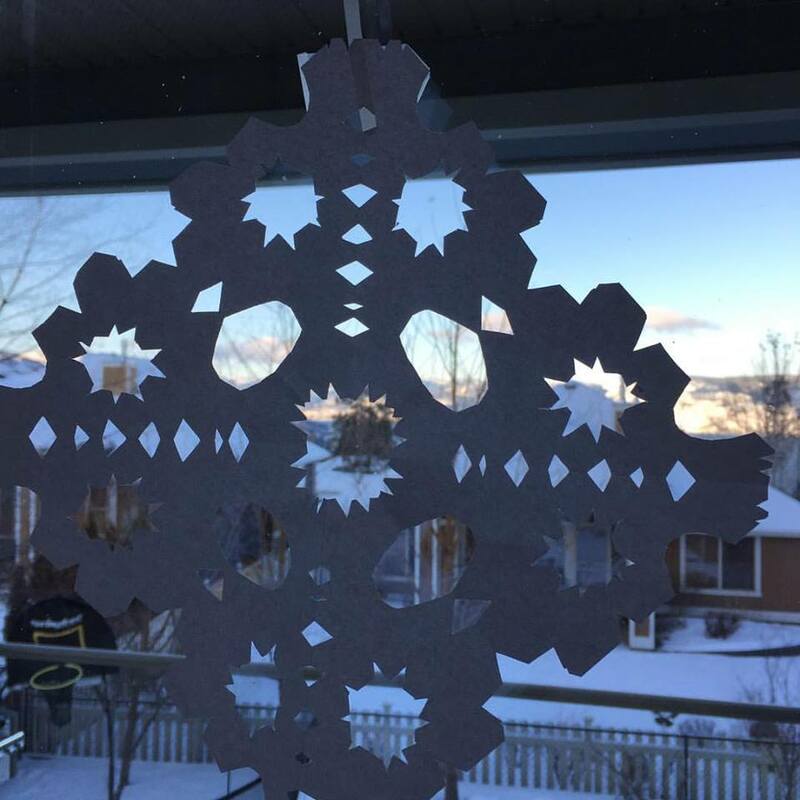 I wanted to send you another photo of this little Christmas paper snowflake from my youngest son, just before we brought them down. Today, I will share some tips and tricks on how to overcome knee pain due to arthritis. 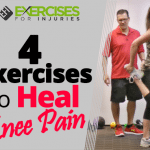 In today’s video, I wanted to go through five steps that you can do at home for knee pain arthritis relief. I got Alix to demonstrate the exercises. Get a bag of ice or some frozen vegetables, wrap them in a towel and place them up against your knees for 5-10 minutes. The inflammation and numbing will decrease, so there should be less pain. You can ice the knees a number of times throughout the day after walking or exercising. One stressful activity that we do in our knees is standing. Look to see if you are standing unnecessarily. If you can move from standing to sitting, you will decrease the stress and pressure on your knees. This will lessen your knee pain and allow your knee joints to recover. Think about how you sit. If you are sitting with your feet underneath your seat and with knees bent, you are still stressing the knees, which can lead to more knee pain. Straighten your legs when sitting to lessen the stress on the knees. Do what you can to maintain and improve the range of motion in the knees. In an upright sitting position, bring your knee up and pull the knee towards you. Bring your leg down and then straighten it out. If it is too much stress for you to grab the front of your knee, grab your leg from the underneath and pull the knee towards you. This puts less stress on the knee. Perform 1 set of 5 reps in a smooth controlled movement. We are improving the movement within that knee joint. In an upright sitting position, place resistance tubing (either circular or flat tubing) around your foot. Flex your knee towards your chest. Straighten out your leg and then bring it back to flexion. We are working on strengthening all the muscles around the knee in order to decrease the stress and pain in the knees. Perform 1 set of 5-10 reps in a smooth controlled movement, with a good stop at the end position for 1-2 seconds. If it is easy for you to do 10-20 repetitions, increase the intensity of the tubing by either grabbing more of the tubing or choosing a type of tubing that has more resistance. Stand with your feet hip-width apart, bringing your hands out front for counterbalancing. Squat down to a point that is pain-free. Raise back up. The key thing to remember is that you are not squatting forward. 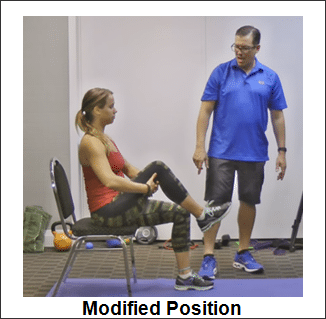 Squat and bring your seat back like you are reaching for a chair to sit. 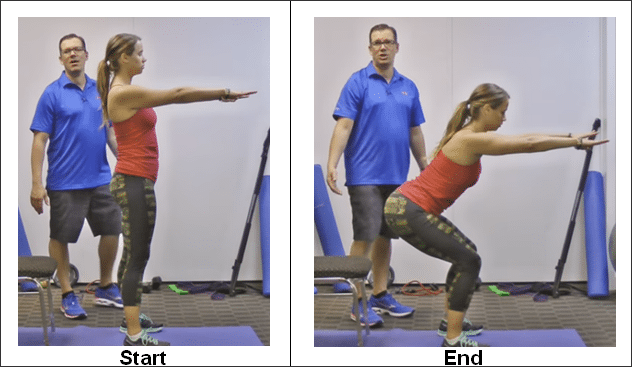 With this slight tweak, we are working the muscles around the knee, the glutes and the seat. Strong glutes and seat muscles decrease the stress on the knees. I recommend taking a supplement to decrease your joint pain. 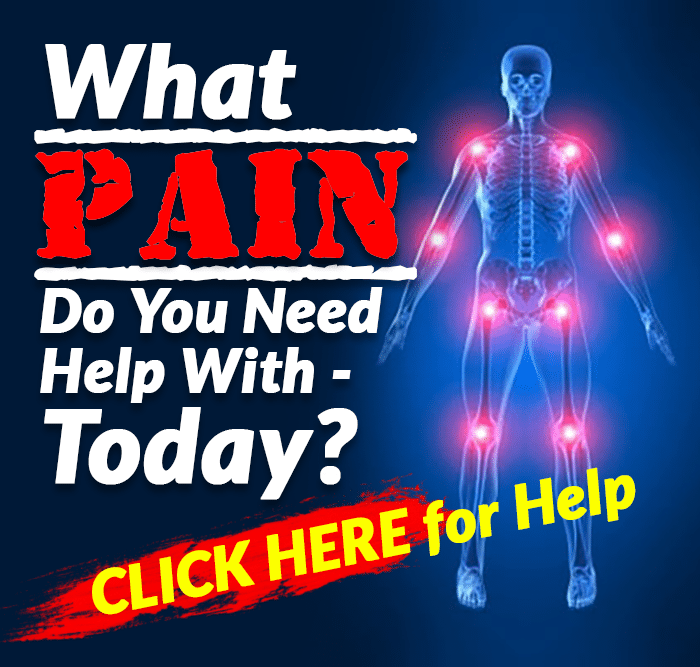 This has been a common question that my clients have asked so I formulated a product called Joint Complex 4000 which is an all-natural joint health supplement that will help reduce the aches, pains, and stiffness. So, there you go! Give those 5 Steps To Knee Pain Arthritis Relief a try and let me know how it goes.